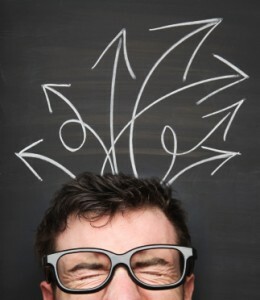 Counseling and therapy for OCD is a focus of treatment at GroundWork Counseling in Orlando. Obsessive-Compulsive Disorder (OCD) is a condition that is diagnosed when an individual has recurrent compulsive behaviors, obsessive thoughts, intrusive images, or the combination of obsessions and compulsions. In an individual with OCD, obsessive thoughts, images and memories are intrusive and inappropriate and typically cause the person with OCD considerable anxiety and concern. Compulsions, which consist of repetitive behaviors such as checking, putting items in order, and hand washing, or mental acts, such as counting or praying, that the individual with obsessive compulsive disorder feels he must carry out in an effort to reduce feelings of discomfort and anxiety. Although these compulsions or rituals provide short-term relief from the distress and anxiety that is triggered by obsessions, these rituals and compulsions cause long-term problems because the lives of individuals with OCD becomes increasingly controlled by rituals and compulsions. OCD can start at any time, from preschool through adulthood. However, OCD most commonly appears between two age ranges. The first range is between age 10 and 12 and the second range is between the late teens and early adulthood. Although research has found that OCD tends to run in families and that genes likely have an influence in the development of OCD, genes appear to be only partially responsible for the onset of obsessive-compulsive disorder. It is not entirely known what other influences might contribute to the development of OCD, perhaps life stressors or an illness can prompt the activity of genes linked with OCD. The gold-standard of treatment for OCD is exposure and response prevention (ERP), a type of cognitive behavioral therapy (CBT). ERP involves gradually and methodically challenging fears and anxiety-provoking conditions that you have been avoiding, with the help and support of your cognitive behavioral therapist. ERP presents the opportunity to learn that feared outcomes are not likely to come true and that your anxiety will be reduced naturally over time and after repeated exposure, your anxiety will stay down. With CBT and exposure and response prevention therapy, you will learn the causes of your anxiety and the factors that help to maintain it. You will learn to identify the unhealthy thoughts that contribute to your anxiety and learn to frame your thoughts differently. Most importantly, you will take part in systematic, gradual exposure to feared situations that trigger your anxiety. 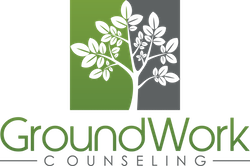 At GroundWork Counseling in Orlando, OCD therapy is tailored to each client, with their specific type of anxiety, obsession and compulsion influencing treatment. GroundWork Counseling in Orlando offers OCD counseling to adults and children.